One of the best ways to remain healthy is by preventing potential health problems and identifying illnesses before they become acute. Therefore, it is vital to get a wellness exam from a healthcare provider. For women, a wellness exam can lead to early diagnosis, treatment, and ultimately enhance a woman’s health before, during and after pregnancy. In accordance with the Affordable Care Act (ACA) stipulation, health care plans available in Nevada’s Silver State Health Insurance Exchange (SSHIX) offer Essential Health Benefits (EHBs) which cover preventive and wellness services at low cost or no out-of-pocket costs. Nevada Priority: Improve preconception & interconception health among women of childbearing age. As part of our ongoing work to improve continuity of coverage and care for pregnant women and new mothers, the AMCHP Health Reform Implementation team has created a short, consumer-facing animated video about the importance of accessing oral health care during pregnancy. For more information about crisis intervention, behavioral, and mental health for adolescents, please visit MCRT for resources. In 2014, the percent of infants who were ever breastfed in Nevada (80.0%) was about the same as that of the nation (79.2%). 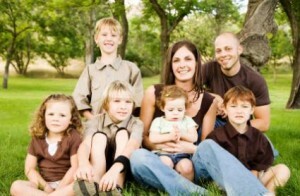 The prevalence was even higher in moms enrolled in Nevada’s Home Visiting Program (92.1%). However, the percent of infants breastfed exclusively through 6 months remained the same in 2010 (18.7%) and 2011 (18.8%). 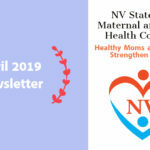 The high rates of breastfeeding initiation in our state are not surprising considering the significant contributions that have been made by the Nevada Breastfeeding Program and Nevada Home Visiting Program to support women who wish to breastfeed. In 2007, only 18.6% of children, ages 10-71 months, received a developmental screening using a parent-completed screening tool. In 2011-2012, the percent of children receiving a developmental screening using a parent-completed screening tool increased to 21.9%. In the same year, only 19.5% of children without special health care needs received a developmental screening compared to 48.9% of children with special healthcare needs. Immunizations – CDC calls prevention of disease through vaccination as one of the 10 greatest public health achievements of the 20th century. However, immunization rates have dropped in the recent past in various populations, possibly attributed to nonmedical vaccine exemptions. MCH needs assessment findings found that parents and stakeholders were concerned about myths surrounding vaccines as well as the rising number of children in our community who were not vaccinated. To address these concerns, parents suggested that they would like to receive information to clear up misconceptions. Additionally, parents stated provision of immunizations at schools would lessen the burden of taking time off from work in order to have their child vaccinated. 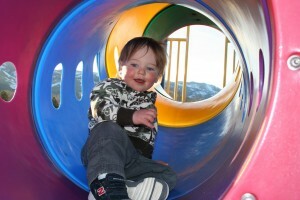 In 2011-12, 29.8% of children ages 6-11 were physically active for at least one hour every day in the past week. White children, ages 6-11 (36.8%) were more likely to participate in daily physical activity than children of all other race/ethnic groups. Children (ages 6-11) born in the U.S. were two times more likely to participate in daily physical activity compared to children born outside the U.S. In 2011-12, 33.2% of children and adolescents in Nevada were overweight or obese (BMI at or above the 85th percentile). However, more recent data (2013-2014) from Nevada’s Student Height-Weight Study shows that the prevalence of overweight or obese children in our state has increased by 15% to 38.1%. Results from the needs assessment indicated a lack of education and services related to factors that lead to obesity, including adult and child nutrition as well as physical activity. To address nutrition and physical activity, both parents and stakeholders suggested increasing regulation for foods serving children, promoting affordable sports, utilizing activity busses/tumble busses, and working with family resource centers to reach the populations they serve. Plans are underway to create a Statewide Obesity Prevention Taskforce to look into ways to reduce overweight and obesity rates specifically through increased physical activity and physical education. The Comprehensive School Physical Activity Program (CSPAP) training has been provided to school staff and other partners and will be continued in urban areas, as well as rural and frontier Nevada. Research has shown that improving preconception health can result in improved reproductive health outcomes. Nevada Title V in collaboration with various agencies and programs has been conducting numerous activities to educate Nevadans of the health insurance options available through ACA. In addition, SSHOX provides in-person help through Navigators and Enrollment Assisters at various community locations and organizations to individuals who would like to enroll in health care coverage. Since many of the factors that influence health are cumulative, a life course approach can be used to link socioeconomic conditions in one phase of the life course to health outcomes at a later stage. A life-course approach can help address risk factors associated with these inequalities. MCH is engaged in numerous collaborative efforts with various programs and agencies to address these disparities and will monitor various types of disparities in priority 6 and through priorities 7 and 8. Title V will continue to provide funding to school based health centers as they are well positioned to provide comprehensive mental/behavioral health services to children. 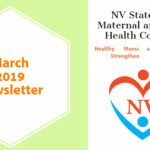 In addition, Title V will continue to collaborate with the Bureau of Behavioral Health, Wellness, and Prevention to ensure that behavioral health and mental health services are provided to MCH populations in Nevada. In 2014, 3.8% of women in Nevada reported smoking in the last three months of pregnancy, a 12% decrease from 2013. 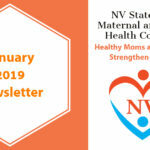 This decline is encouraging and Nevada Title V will continue ongoing statewide collaborative efforts on tobacco cessation to reduce poor birth outcomes and smoking-related maternal morbidity. Specifically, Title V will continue to collaborate with The Tobacco Prevention and Cessation Program (TPCP) within the Bureau of Child Family and Community Wellness to provide prevention strategies for all women including pregnant women. Title V will continue to work with Medicaid to promote Medicaid funded cessation programs. 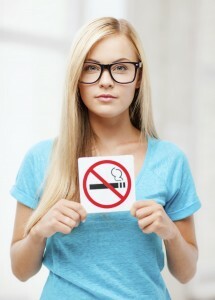 Medicaid coverage provides a variety of tobacco cessation treatments in Nevada. Customized Text4Baby messages on tobacco cessation will continue to be sent to mothers who sign up of the services. Nevada Title V is greatly concerned about the potential health consequences of e-cigarettes on MCH populations and since there is no state-specific data on this new tobacco product, a question was included in the Title V-funded PRAMS-like survey to collect data on the use of e-cigarettes. 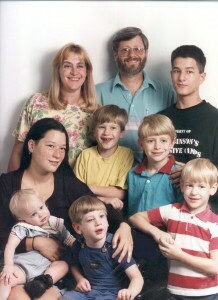 Title V and SAPTA will continue to oversee the SoberMomsHealthyBabies.org website which provides substance use prevention information to pregnant women, women of childbearing age, providers, and concerned family and friends. In 2013, 13.9% of the children in Nevada did not have health insurance. This is a 23% reduction from 18.0% in 2009. Even with the decline in children insurance rates, Nevada has not met the HP 2020 objective to increase the proportion of persons with health insurance to 100%. Health insurance coverage can be obtained privately, through an employer, through the military or public programs such as Medicaid and Children’s Health Insurance Program (CHIP). Individuals who are uninsured are less likely to seek health care services compared to their insured counterparts and this may lead to undesirable health outcomes. Some of the barriers to access to health services uncovered in the needs assessment were lack of insurance, limited number of providers accepting Medicaid, high volume of paperwork during application process and lack of transportation (in Clark County).